I&apos;m Lyssette, How Can I Help You? Let us find a home for you that make your dreams a reality in Paulding, Cobb, Cherokee, or Bartow County. The GoGeorgia Real Estate Group takes a different approach to real estate, one that is built on personal touches, win-win deals and positive results. Lyssette Navarra utilizes the latest technologies, market research and business strategies to exceed your expectations. More importantly, we listen and that means we find solutions that are tailored to you. How we can help you find the perfect neighborhood to call home in Paulding, Cobb, Cherokee, or Bartow County. Here are just some of the many ways our efforts will be utilized in purchasing or selling your next home. 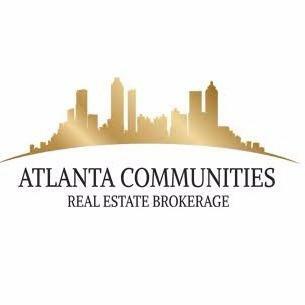 We are a part of the neighborhood you dream of living in concentrating our efforts on real estate in Paulding, West Cobb, Cherokee and Bartow Counties. We will promote your property by leveraging social media and increasing your exposure. Utilizing our market materials we will grow your opportunity to reach out even further. Our goal is to keep an open line of communication, updating you on buying or selling your home. A landing page exclusively for our right-to-sell listings. We incorporate our strategic marketing skills for selling or buying your home. After you have had the chance to review this information, contact me and let our Team Find your NEW Beginning!